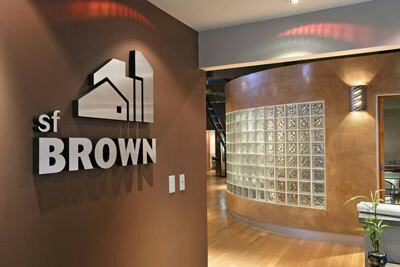 SF Brown is one of the Southwest’s premier builders and developers. Founded by brothers and native Santa Feans Mark and Merritt Brown, SF Brown is known for quality construction and quality relationships with its many long-time clients. Mark and Merritt, sons of longtime Santa Fe builder/developer C. L. (Lee) Brown, have been in construction and development since their diaper days and have participated in the construction of hundreds of projects that are recognized as symbols of quality, durability, and integrity. They have brought cutting edge, 21st century technology to time honored building traditions to create the best of both worlds right here in Santa Fe. Mark and Merritt bring with them college degrees in Civil Engineering and vast experience in all aspects of the construction industry. As life-long residents of Santa Fe they have raised and educated their children here and have committed countless hours to many civic and social causes in the community. In addition to the dozens of homes they’ve created, SF Brown has also designed, developed and built over 200,000 square feet of commercial real estate and continues to own, lease and manage nearly 75% of the facilities they have developed. The SF Brown team is complemented by Marc Bertram. An independent, commercial real estate investor and broker, Marc is also a longtime Santa Fean with nearly 35 years experience in all aspects of the real estate industry including commercial leasing, brokerage, finance, and securitization. The entire team at SF Brown is honored to continue a long tradition of quality construction, integrity with their clients, subcontractors, governmental authorities, and other professionals, they bring the best practices, the best of tradition and the best of technology to every project they build and participate in.